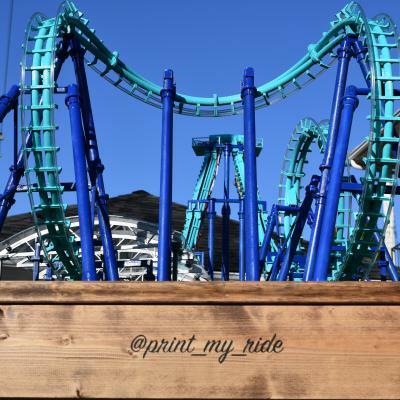 I love 3d printing and roller coasters, so lets combine both! With a passion for pushing the envelope and a crave for innovation I strive to make people say "Wow!" This account is here to help fuel the creative minds that want to be their own roller coaster designer. Me:28 years oldMechanical / Automotive EngineerDetroiterACE Member Current Printers:Lulzbot Taz 5, Lulzbot Taz 5 (Clone), Lulzbot Taz 6 (Clone), Flashforge Finder, MendelMax 1.5, Stratasys Dimension SST 768, Voron Core XY. If you have questions about printers i know the following...Previously owned printers:Makerbot Rep 2, Flashforge Creator.Printers used daily in my Career:Stratasys uPrint, Stratasys F170.